Eibach 2.25" ERS Coil-Over Spring 6"
Navigate: StoreFront / Suspension / Suspension Parts by Manufacturer / Eibach / Eibach 2.25" ERS Coil-Over Spring 6"
Eibach manufacturers the finest and most consistent springs in the world. That is why we chose to represent and use their products. 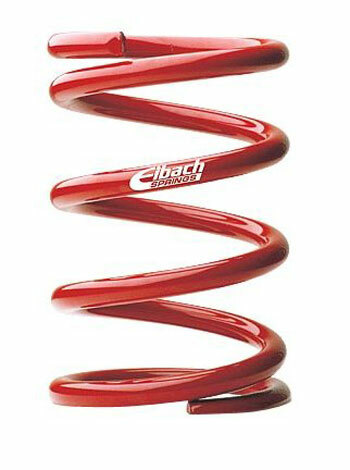 We use Eibach ERS springs exclusively in our race cars and any car we build. We have a wide variety of 2.25" Coil-Over springs available in a variety of free lengths ranging from 4" and up. The most common for rear BMW suspensions is the 5" free length. MUST SELECT SPRING RATE. If you don't see what you need, please let us know in the Order notes.